Here's samples of my blow-molded playground toy design from my portfolio. Click here to see other automotive and toy related projects I've designed. 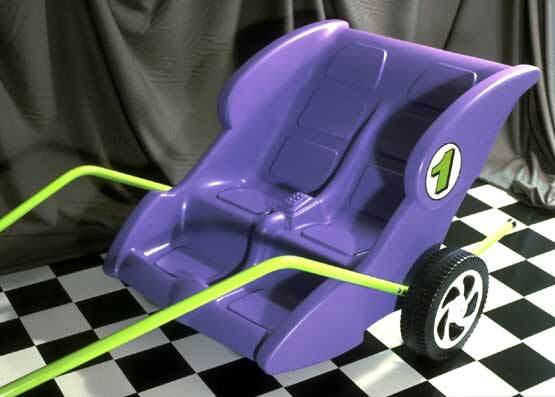 A few years ago I worked with a small toy company to create a blow-molded playground toy design. 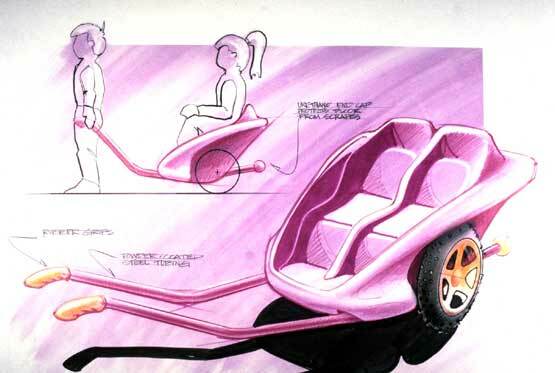 One of the concepts I presented was a "sulky like" vehicle which could be pulled by one or two kids. There were several styles presented, but the client picked the race car theme version. 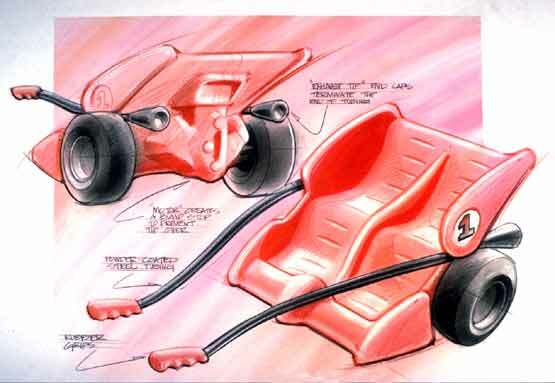 My vision for it was for it to look like a cross between an indy car and a top fuel dragster. The bottom picture is of the final full size model that I built for the client. The kids TV show "Barney" was popular at the time and the color scheme was changed to a purple and green to appeal to that age of kids.